Dr. Adawna Windom graduated from the College of Veterinary Medicine at Washington State University in 1980. After graduation she practiced at Portland Avenue Veterinary Hospital in Tacoma, Washington for 5 years until she and her husband Mark purchased North Seattle Veterinary Clinic in 1985. Dr. Windom has a special interest in surgery and orthopedics and can make just about any tail wag or kitty purr. In her free time, she enjoys tennis, reading and spending time with her family and pets. Her household is currently managed by her sweet older kitty, Daisy. Dr. Melissa Nathanson graduated from The Ohio State University School of Veterinary Medicine in 1991. She spent several years practicing at two small animal clinics in Pittsburgh Pennsylvania and Syracuse, New York. It was during these early years that she developed her special interest in rabbit and "pocket pet" medicine. Dr. Nathanson enjoys seeing dogs, cats, rabbits, ferrets, mice, rats, hamsters and gerbils. After moving to Seattle, she joined the North Seattle team in 1998. 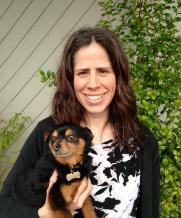 Dr. Nathanson then became co-owner and business partner with Dr. Windom at North Seattle Veterinary Clinic in 1999. 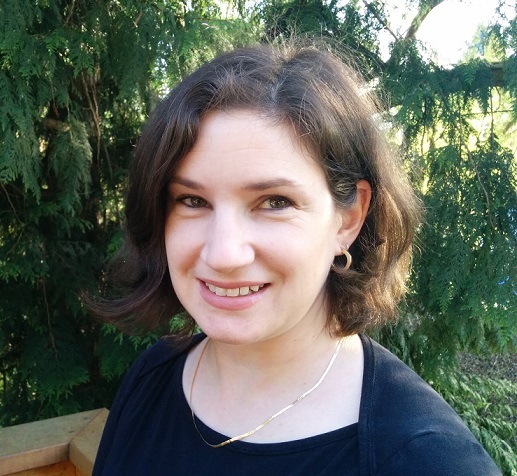 Dr. Nathanson enjoys gardening, home projects and exploring Seattle's restaurants with her husband and daughter. She and her family are entertained daily by their two goofy feline brothers who make sure the couch and beds are not left unattended when the rest of the family is not home. Dr. Amy Neer holds a BA in biology from Colorado College, and received her DVM degree from Washington State University College of Veterinary Medicine in 1999. After graduation she practiced at Sno-Wood Animal Hospital in Woodinville, a predominantly exotic animal clinic, and worked for many years after that at VCA Crown Hill Animal Hospital in Seattle. She enjoys treating cats, dogs, rabbits, guinea pigs, and other fuzzy creatures. She lives in north Seattle in an all-boy household: husband, two sons, and cats Monty and Zipper. In her non-veterinary life, Dr. Neer plays and teaches handbells, and is a member of Bells of the Sound. She also enjoys knitting, reading, hiking, and exploring Seattle with friends and family. Dr. Jessica Allmendinger received her veterinary medical degree from the University of California at Davis in 2008, and a BS in Zoology at the University of Texas. 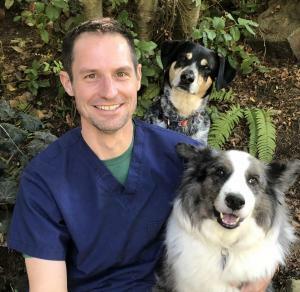 Dr. Allmendinger joined North Seattle Veterinary Clinic in 2015, after practicing family and emergency medical care in Seattle and Woodinville. She lives in North Seattle with her husband, two young children, two ornery kitties and an exuberant little Chihuahua who is the king of the house. Dr. Allmendinger has a special interest in gastrointestinal diseases, anesthesia and geriatric care. When not at the clinic she is out hiking on the trails, taking her toddler to gymnastics, reading books or jogging. Dr. Craig Meredith has a BA in biology from Whitman College and received his veterinary medical degree from the University of Pennsylvania in 2007. After graduating, he moved back to the west coast where he practiced emergency medicine in Vancouver, Washington and family medicine in West Seattle. Dr. Meredith especially enjoys soft tissue surgery and working with geriatric patients. He lives in North Seattle with his wife, daughter, and two incredibly poorly behaved dogs. When he's not at work Dr. Meredith enjoys running long distances, hiking, and playing soccer with his co-rec team.